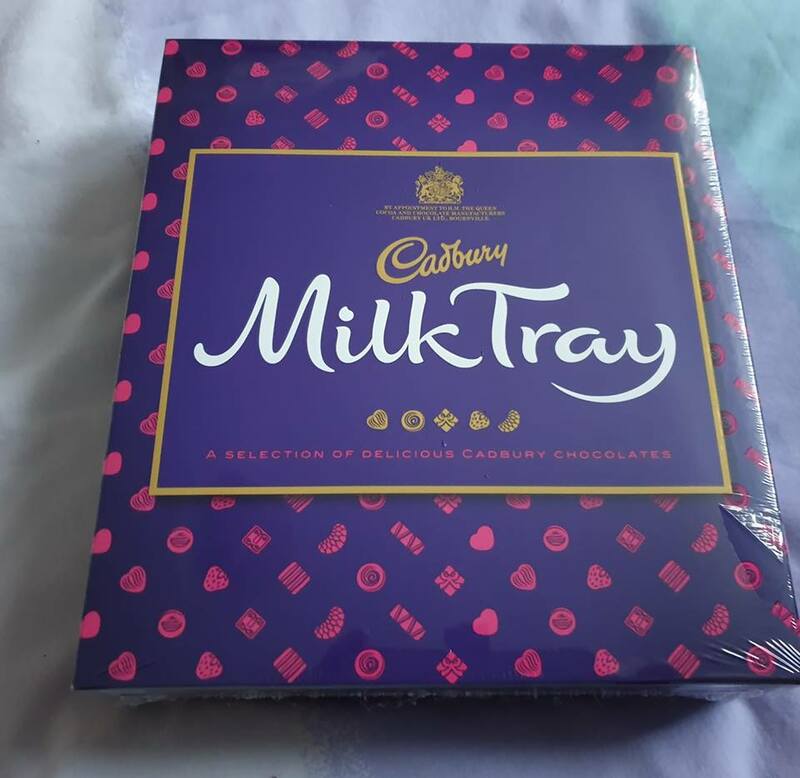 Giveaway No 3 - celebrating my nine years in blogging. On April 5th my blog turned nine. Nine years of highs and lows. Our lives, the lives of the three daughters, the two boys choose not to feature on here. 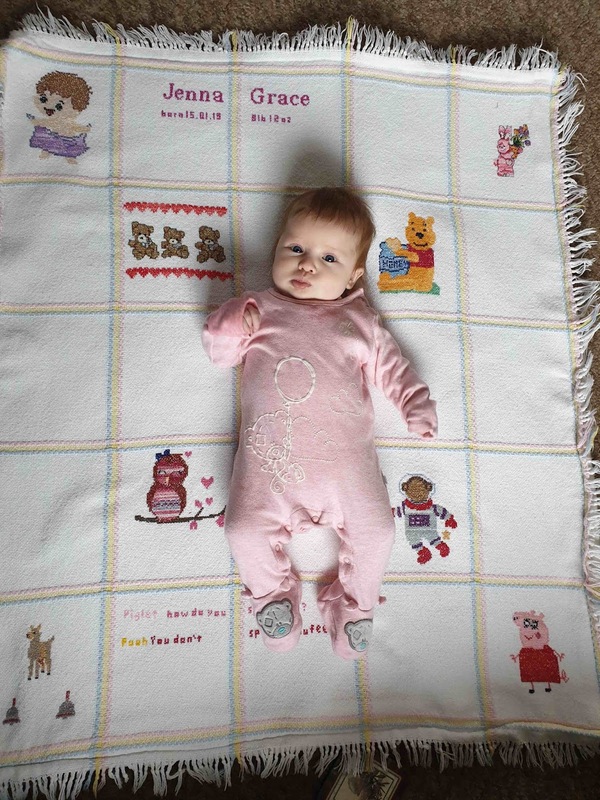 Grown from two grandchildren to nine, including one set of twins. We have shared the amazing day that was DD2's wedding. 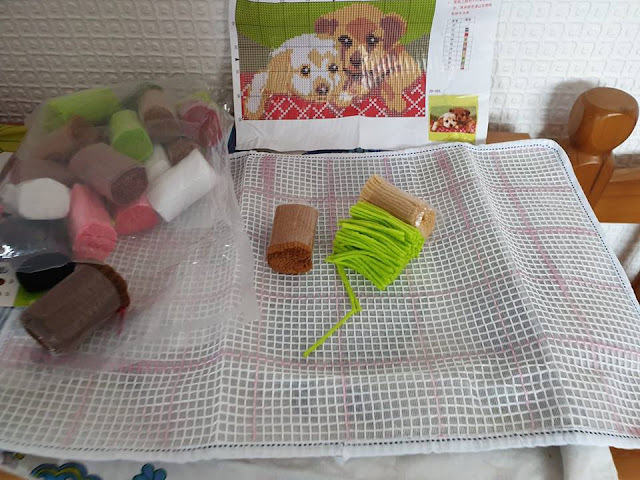 We have shared our three dogs with you,our traumas, some medical issues, the menopause and our family allergy problems. I have shown you the places I have visited and the people I have met. 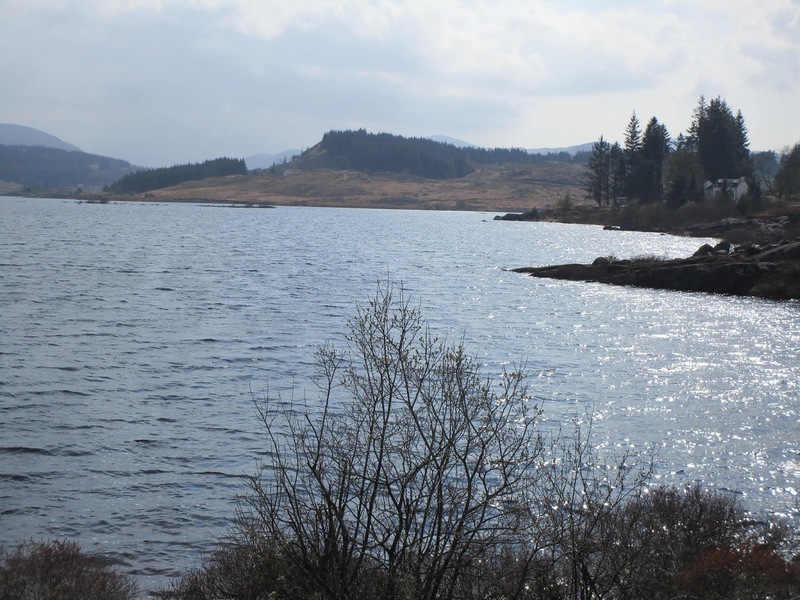 The beautiful scenery that Scotland has to offer and the fun the grandchildren and I have had. By way of a thank you to everybody for taking the time to read what I have to share I am running a few giveaways over this month. So for giveaway No 3 we have; a box of milk tray and £5 worth of scratch cards or Lottery tickets, or a combination, the winner gets the choice. A nice easy Gleam giveaway, leaving a comment and sending a tweet. Likes are nice but not essential. Been in general another nice week here weather wise with lots of out and about. A birthday gives us another teenager in the family. Hubby has been making a huge effort with his diet since his last diabetic review and his moods are vastly improved with much less exploding over nothing.Much more the man I married all those years ago. A win win all round. Something different to take to work and do in my break. DD2 bought this for me to do. Not as big as it looked in the picture. Been a long while since I have made a latch hook item. Somebody locally was giving away a brand new unused space saver tyre and wheel that will fit our car, so another friend took it in and we went down to pick it up. Walked the dog round the beach park at the same time. 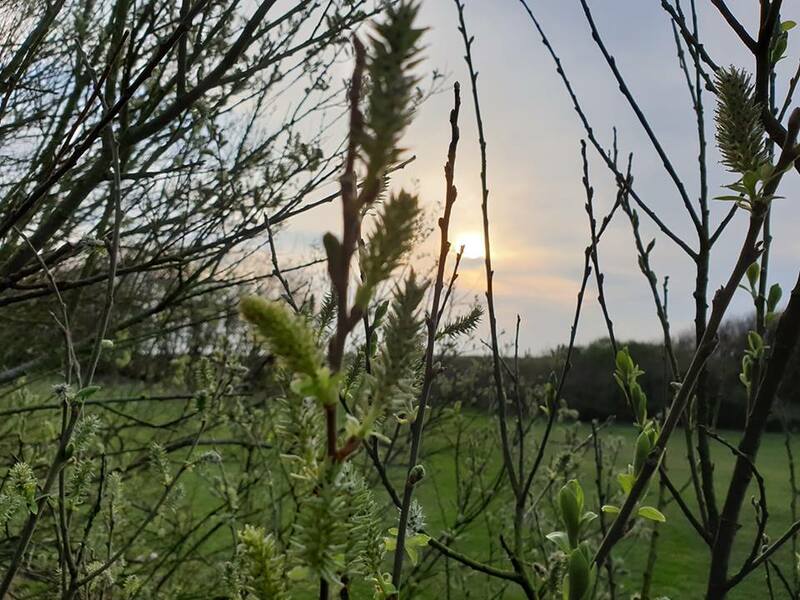 Did take a few other pictures focusing on the buds but liked this one with the sun setting in the back ground. Had hoped for another walk today but it rained, and rained and rained, so I stayed in and knitted. Made Bob's cake for tomorrow. Cannot get the colours to come out right on this. The bottom half is actually a nice lime green colour, very similar to the colour in the multi stripe, not a muddy sort of green. Went for a walk when I had finished in the town. Walked through one of the local golf courses, round the main road and back again. Home to decorate Bob's cake and take it down. Thirteen today, time has flown. The butter icing was suppose to be bright purple and despite putting in the whole tube it just went a muddier shade of muddy brown with every squirt I added. Never worked with the Koko spread before so it may have been that. But it tasted fine and he was happy with it. Think he just takes pity on an old woman!! Had an occupation health appointment for my hands, filled in a form about six months ago and eventually got to the top of the queue. But my hands are vastly improved so nothing much needing done. Did mention my ongoing issues with the throat, ears and asthma but that is not her area of speciality so need to phone and make an appointment. Before my appointment I went on the monthly ladies cycle ride. 6.88 miles up and down hills. There was only three of us, the leader and two participants.But small numbers make for easier conversations as you cycle. Was a lovely afternoon for it. 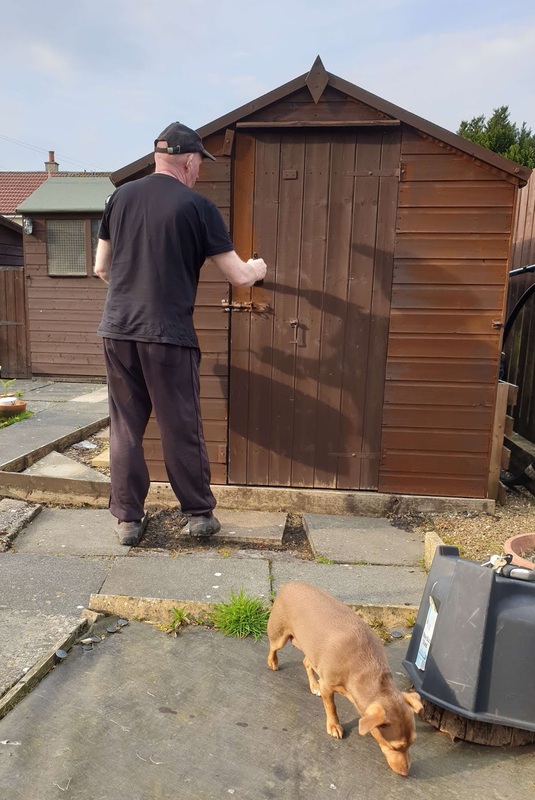 Hubby has been painting the sheds over the last week as he does every Spring. Job ground to a halt until we go and buy more paint next week. DD3 has the day off as it is a bank holiday so she asked if I wanted to meet up. Makes a change to be able to spend time with her. The roads were very busy driving in with a lot of caravans on the road, all flocking to the coast for a holiday. We wandered the shops, buying next to nothing and raked the charity shops as well. Bought a couple of knitting patterns and had a look in a wool shop at all the very nice wools. Will go back and buy some to make Christmas pressies for the grandchildren. Wandered back to DD3's house via the beach and parks. 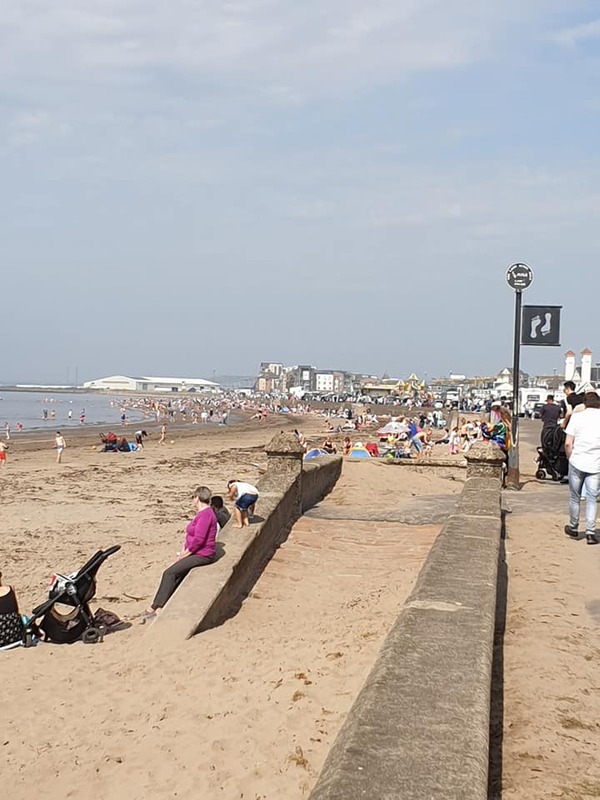 The beach was very busy. Did over 7 miles in total. Wandered down and watched the three wee ones while DD1 went and picked Bob up from gymnastics, popped them in the bath and we had lots of laughs while they played silly. Managed to burst the 500 miles this week. Sitting at 524 miles . Not bad in 14 weeks I have been doing it with three of those weeks out of action. My map is filling up nicely. Not quite sure why but I cannot get my fitbit account and my map my walk to sync with each other so my fitbit does not show my bike rides. 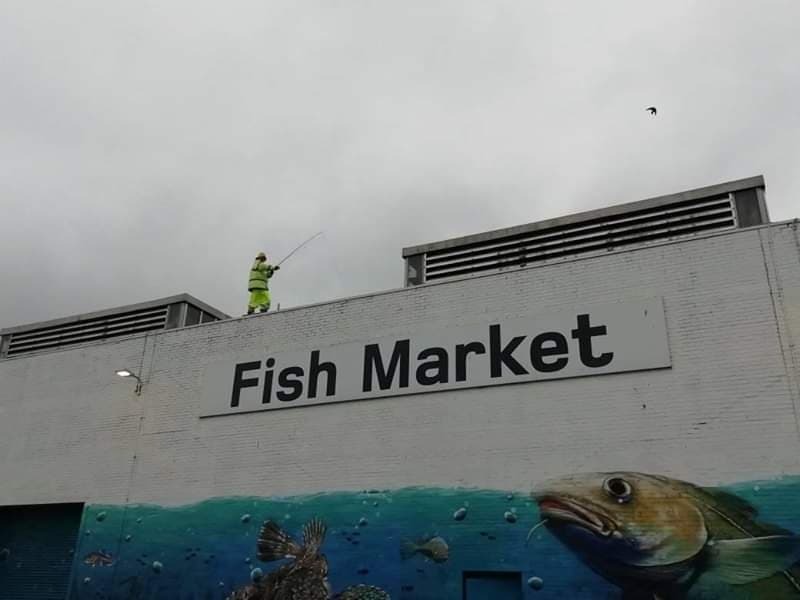 This picture is cheating, I did not take it hubby did when he headed to Glasgow with friends to wander round the Sunday markets, I was offered the option to go as well but could not have coped with walking. This is more exciting than my knitting again. This is the plant that DD1 got me for Mother's Day. Well Dinky actually picked it and it is doing away just fine on the dining table. 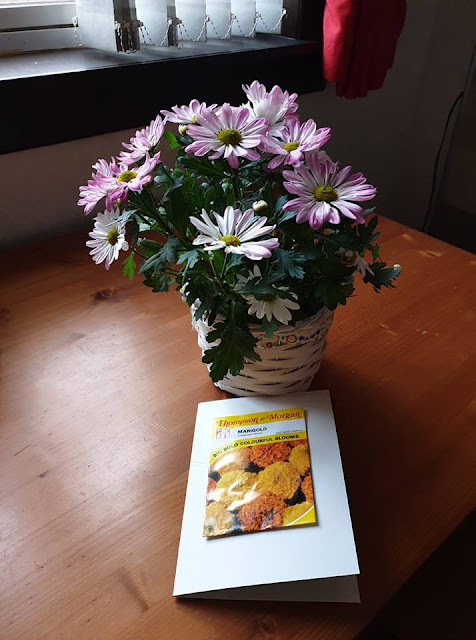 The packet of seeds is the plant DD2 got me, will need to get them planted at some point. This was my DIY plant from her. Went for a wander along the river, flat and easy to walk. Our friend kept trying to get the dog in the river, she on the other hand was for none of it. Went back into the GP to pick up another course of antibiotics. Whilst my breathing is better than it was my throat, ears and sinuses are still sore, with a lot of white pus n my throat. So rather than allowing it to come back with a vengeance for a fourth time I am hoping another week will kill it once and for all. While we were in the town went for a walk along the sea front. The sky was a lovely bright blue. The tide was well out and the sky a lovely shade of blue. Weather here has been around the 14 oC all week with dry and sunny if a bit windy a few days so we decided to have a day out. Took a run to Loch Doon. I had my jacket in my ruck sack a lot of the day, just really on at the tops of the hills. We had two geocaching trackables to move on so left them both here and picked up one other to move on at some time soon. Do other people have partners like mine that always think the sat nav is sending you the wrong way or that a walking loop is not going the right way and spoil the day by constantly stressing about it? As of yet I have never got lost and always found my way back. Have to say this is imo the best cardigan so far. 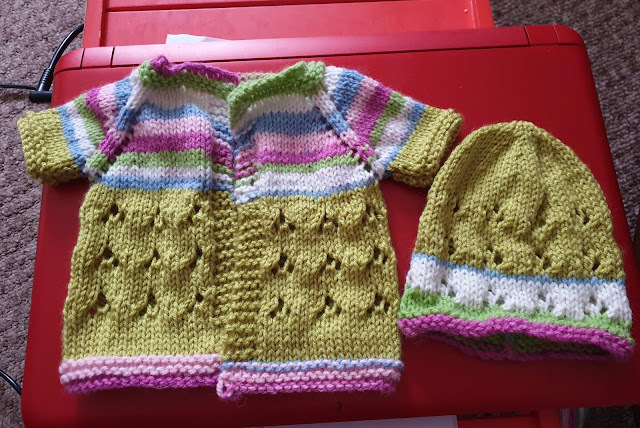 I was not sure how these colours would work for baby cardigan but I reaal do like it and I think it looks so lovely with the matching hat. Got a PM on Twitter at the start of the week to tell me I had won a new pair of trainers. Not a colour I would have chosen if I was buying them but the colour does not matter when you win them. I do not wander around looking at my feet. Comfort and features was my reason to enter the giveaway. I have chucked away a few rather old very past their best trainers in the last few weeks so that I have no choice but to replace them come payday, well one less pair to buy. Just need to win a pair of walking boots now and i will be all set. 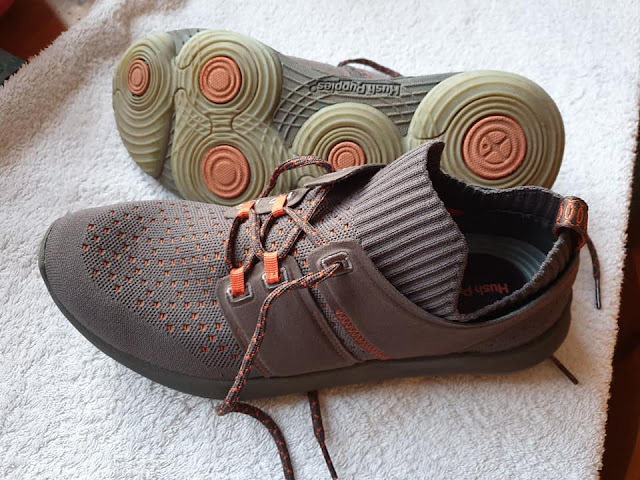 They are a pair of BounceMAX trainers by Hush Puppies. They are a lovely soft shoe with an elasticated ankle rib that just fit so comfortably. Only got them on Thursday so not had chance to real try them out just yet. But the few miles I did with them yesterday they were very comfy. No seams to rub, no bits to catch bunions etc, so soft and stretchy. As any of my regular readers will know I like to join in with an organised bike ride. I do not have a bike of my own anymore so cannot go out a cycle ride by myself. 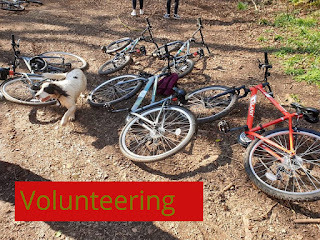 These rides I have joined in with through The Active Travel Hub in Ayr are run by paid staff but often rides can rely on volunteers to both head up the group and/or for somebody to go at the back. There are a lot of initiatives out there currently to get people fitter and one of the ways this can be done is through cycling. Many employers do bike to work schemes and you can sign up and get a bike tax free through your wages. We live rural and do not have any local cycle paths but there had been plans in place to link us with the next two rural villages over but this has been delayed currently. Currently any children doing Bikeability in the local schools has to go onto 60mph country roads. 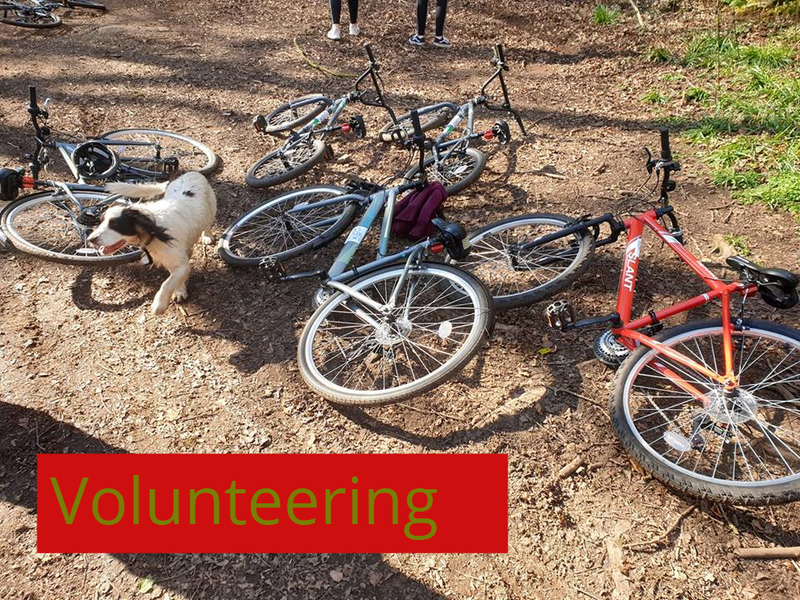 I had seen a shout over the Summer last year for people who might be interested in becoming a volunteer cycle ride leader to work with local groups both adult and youth groups and accompany them on rides. This scheme is done through the South Ayrshire Council’s Community Learning and Development Team and the bikes were funded by Ayrshire LEADER, who are a rural funding body. Part of this initiative has bought eight bikes for each of the three local rural villages and the plan is to get groups out cycling and becoming healthier. Cycling. like walking, has many positive impacts both mental and physical. The more people we can get out cycling the bigger our argument for the cycle paths. 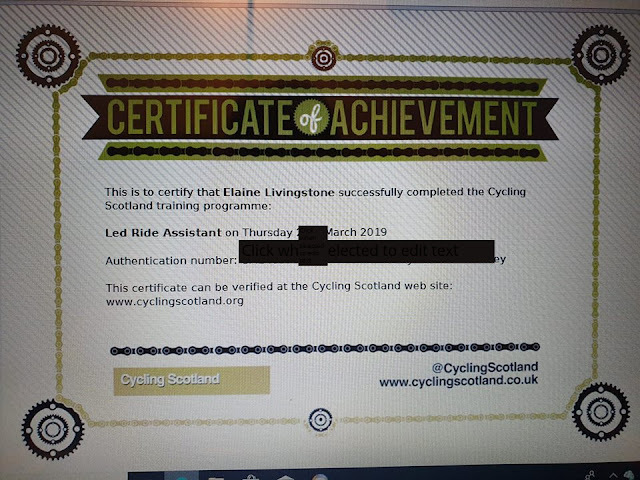 So having signed up for this scheme and the training that goes along with it last week I found myself on the cycle ride leader training course. This course was organised and evaluated through Cycling Scotland . I have done a maintenance class with them late last year. So what did the day consist of? The day was outlined first and then we all got to introduce ourselves and say where we were from and why we had came. A lot of the people knew each other through their work. The were only two volunteers the rest were there through their work. We had been asked to download the essential cycling skills app and work our way through it. It got me thinking about things I had never given much thought to before. I have cycled for as long as I can remember and I do recall doing my cycling proficiency at school but that was a looooonnnnngggg time ago. I grew up cycling on roads both is busy cities as well as traffic free RAF bases. My children all grew up cycling, even my epileptic daughter had her own bike. So we discussed the app and how we found it, I did find the later end of it did not load correctly and the diagrams did not always come up but that is a known glitch. So our next stage was looking at the bikes we were going to be using, and doing what is called an M check on them.. When we are working with a group we will get the cyclist to check over their own bike, we then have a quick check, and then if they are happy they sign paper work to say they are happy with it. This is placing the onus on the owner with us doing a quick check just to be sure. We can at this point if need be blow up a tyre, or adjust a brake or adjust their seat height. 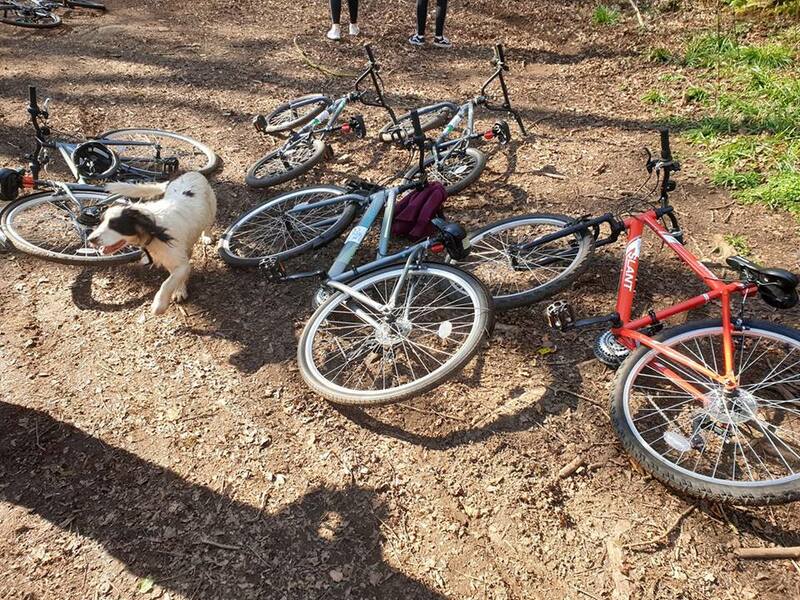 We then took our bikes and went out into the car park and this lesson was about us assessing how well and how confidently the service users can use a bike. This part of the lesson could take weeks in reality to work through depending on the ability level of our pupils. This part of the lesson is not only about the cycling ability but also the ability to listen to instructions and comply with them. We need to be confident that when out on the road in amongst traffic that we will be listened to to be confident that they will be safe on the road. We played games, we cycled through cones, and ran over cones, we raced to see who could come last which requires good control of the bike and helps with balance. I won the game similar to musical chairs except we had to cycle to a cone when the instruction was given, last person to reach a cone was out. They then got to remove a cone and shout the instruction. Again this was following instructions, bike control while watching what was happening (and which cone was being removed), all good skills to have on the road. We also cycled round and had to high 5 the instructor as we went past, this lets us see people can indicate safely. We then went for a short cycle round the village for the instructor to teach us a few skills for on the road that helps keep a group safe. One such skill is "doubling up".We were numbered 1,2,1,2 and when the instruction to double uo is given the two's go to the outside and the ones stay in. I am sure you have been stuck behind a group of cyclists where they are riding two abreast. This is not just to be awkward and stop you getting past. By doubling up approaching brows of hills and upcoming bends it is preventing you from overtaking, If the group were in single file and you attempted to overtake you can well cause an accident. When the road level out there is a shout of singles from the leader in front and the ones stay where they are and the twos slip back in between them. The idea is to have as many instructors as no twos so they are protecting the children. The other idea we were taught was "snaking". You always have two main leaders one front and one back, they are in charge and give the instructions. Snaking is used for busier junctions where you are crossing from a side road onto a main road. 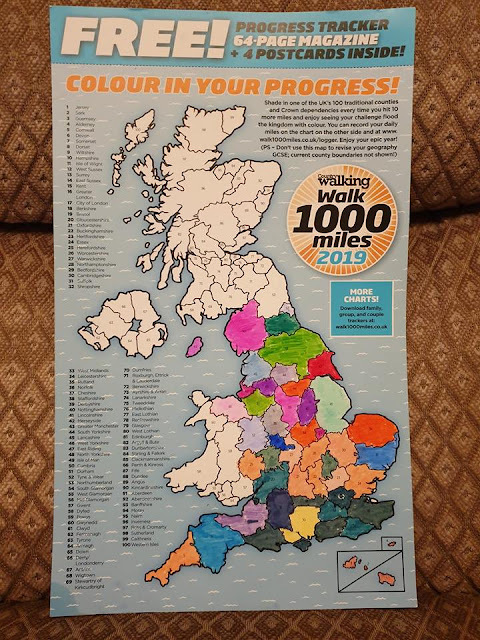 You have worked out in your planning stage where these points are on your route. The front leader indicates to turn right and the rest who are in single file signal and move across to the correct position. At this point the back leader moves up the inside of them and stops at the junction. This person is responsible for ensuring everybody gets across the main road safely by waving them out when you have a gap. Hopefully once the first members of the group are out there will be a place they can stop at the side of the road until everybody is out. They should be using the universal slowing down sign to indicate their intentions to other road users. I really like these ideas. So we went back and had a working lunch. We had to plan our big ride for after lunch. It was not overly big as rides go 6.7 miles but it let us put into practise what we had learnt in the morning. We were split into groups of two and each given a section of the ride to lead. I was a back leader for the last part. We had to write out a plan on where we were going, what hazards we could perceive and how we would deal with them. Our section required us to do snaking, but I knew there was a lay by opposite the junction and the group would pull in there. The route we were cycling was on 60 mph roads and we will never be doing this with children as this training course only allows us 30mph and cycle paths with the possibility if need be of crossing over by walking bikes across a faster road. Sadly the route they took us was very steep for the first nearly two mile section. I knew at this point I would seriously struggle as I am not overly fit. I did think about calling it a day at that point and walking away from the day but I decided no if I was going to fail the course then I would fail it because I could not do it. I was right, some of it was very steep and I got off the bike and pushed, I was not the only one. We learnt other techniques here, stopping the group to have a chat, this allows people to get their breath back and allows you to engage with the user group. Arrived at the top of the hill totally knackered, but I did arrive at the top of the hill, and managed the rest of the ups and downs with some puffing at panting but no more stopping. I did managed to do the 6.7 mile route. I know I had held the group up and did wonder about my ability to be a leader. But it was not a route I am happy to cycle on and certainly not a road I would feel happy taking groups of children on but that was a testing route chosen specifically for us adults as a learning curve.The simple answer to this one is if they were ever looking for volunteers to cycle this route I would not be putting my name forward for it. So what did I think of the course? Have to say I enjoyed the course, I learnt a lot from it, including the fact that I am not fit, which I know anyway, but more importantly road positioning, reading a road and doubling up when necessary, learnt how to double up and drop back to single and how to get a group out safely onto a busy road. Feel at nearly sixty years old it is maybe time to invest in an electric bike. I do enjoy the rides I do with the women's group much more than I enjoyed this ride, but the ride with them is more a leisurely wander chatting as we go which is as social as it is physical and much less steep and hilly. So I did think I can go a few different ways with this; a) give it up entirely and cycle no more b) stick to the less stressful routes or c) get a bike and get out there and get fitter. I might even consider an electric bike. 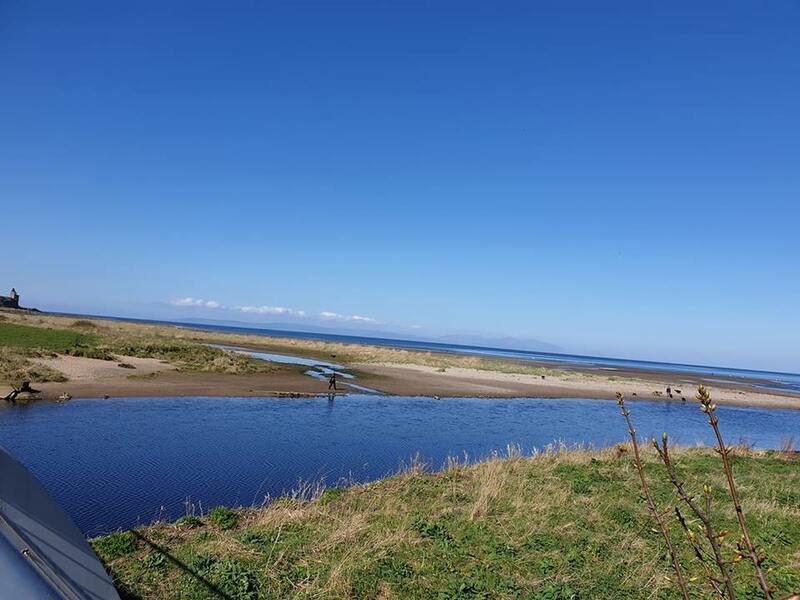 Maybe time I invested in a bike and found somewhere to keep it in Ayr and go out on it regularly.Or get one for the shed and cycle the back road seeing how far I get around here and build up my stamina and distance. I know when I first used a bike in and around Ayr about .ten years ago, first time in about twenty years I had cycled, there were certain parts I could not get up without stopping more than once but every time I got a bit further until eventually I made it without stopping. But I turn sixty this year. So since the training day I have been along to volunteer with a group of children. We had an experienced leader who was hilarious and the kids really liked him. The children we had varied in age from seven to eleven. They all could cycle quite well but none of them had their own bikes so this is where a scheme like this comes in, getting them out. The route we took with these children was just a short route, we were out for approx 45 minutes. probably no more than half a mile away from the centre at any time. We did a square round a very quiet street, then we walked them across the main road and up a farm path. Two of the girls said they would never make it, but as there was always a leader behind them then nobody got left behind. They all made the uphill and some struggled a bit more on the downhill section as it was rutted from where the tractors have gone down the road in the mud when it was wet. One girl ended up with a foot in a puddle when one of the others in front of her had stopped suddenly as he was going to fall off. We then took them into a wooded area to have a look, and let them stop for a breather and some off bike time. Most of them chose to take off their helmets and scramble up and down a steep hill, some using a fallen tree to pull themselves up on and others just enjoying the challenge of the climb. The Leader showed them a bit here he use to cycle down, a steep slope approx 12 feet high that seemed much higher when you sat on your bike up there. The other two leaders showed them the best method for coming down the slope and allowed them to make up their own mind if they wanted to do it. Two of the six children braved it with one girl going twice as she really enjoyed it. All part of the learning curve to challenge themselves and see what they can achieve. a dog wanders through the pile of bikes we were using. They decided next time they might come this way first as there is a path to where this section joins to the village so safe for them. Instructions were not on the road. They talked about bringing some chocolate and mallows the next time for the kids and a means to melt the chocolate. These children got out for an afternoon of fun, enough cycling they enjoyed it with stops every couple of hundred yards for a catch up with the back markers and a breather and a chat and laughs. They all said they enjoyed themselves and can't wait for the next one. 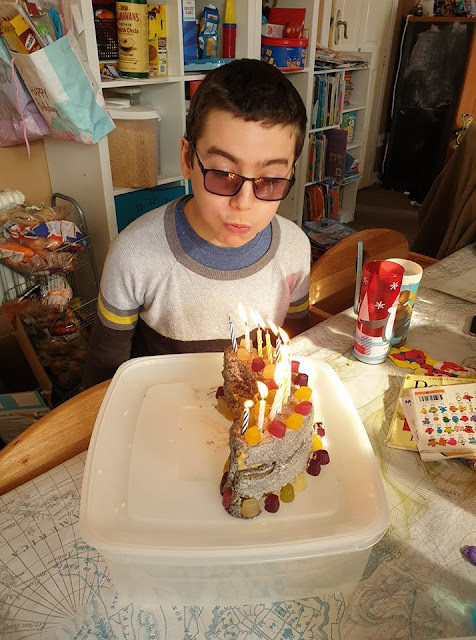 Last week on April 5th my blog turned nine. Nine years of highs and lows. 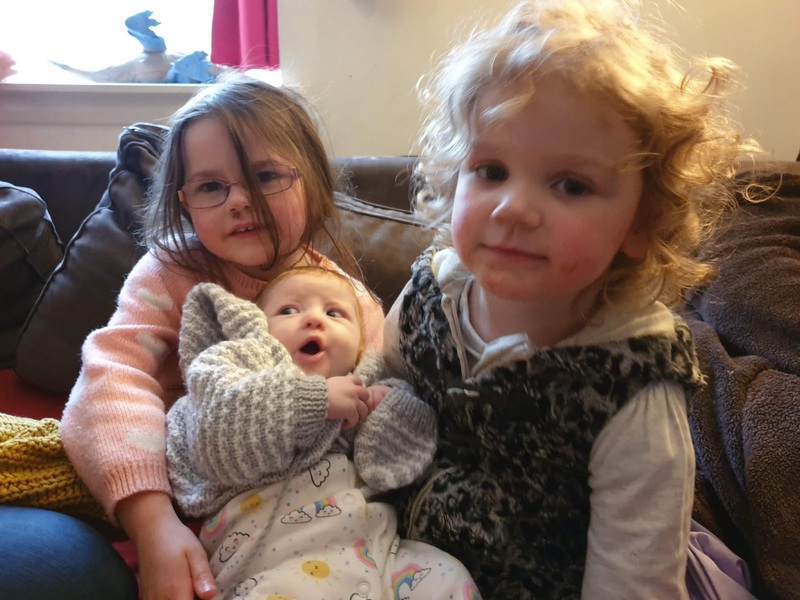 Our lives, the lives of the three daughters, the two boys choose not to feature on here. Grown from two grandchildren to nine, including one set of twins. We have shared the amazing day that was DD2's wedding. 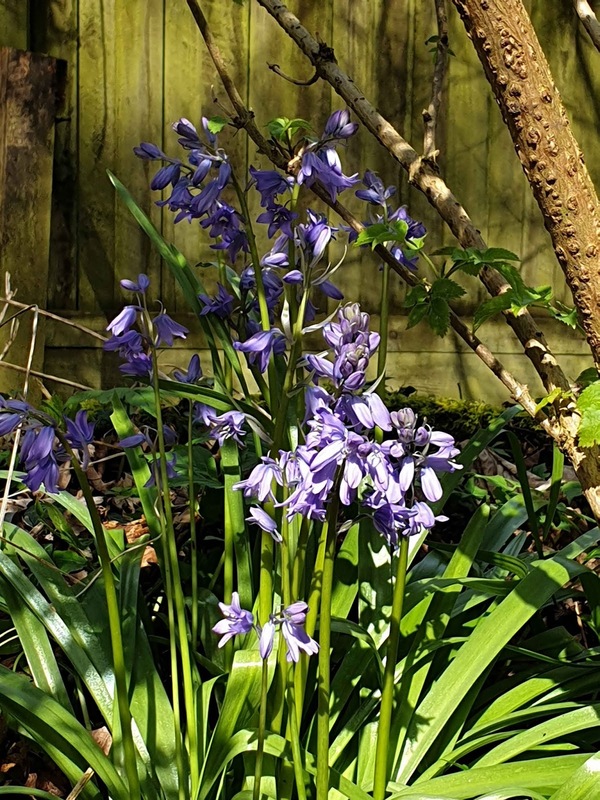 We have shared our three dogs with you,our traumas, some medical issues, the menopause and our family allergy problems. So what have we for giveaway No 2 I hear you ask? 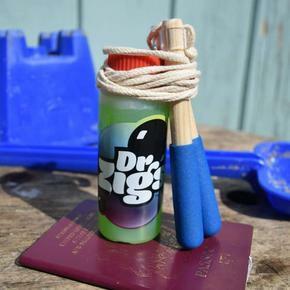 We have A Giant Bubble Travel Kit from Dr Zigs. You can pop over to their website and see what else they sell here. 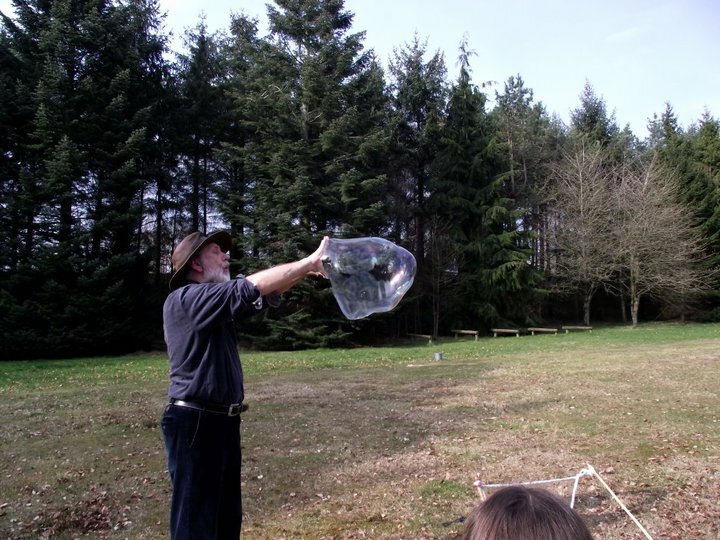 The giant bubble travel kit provides everything you need to make Giant Bubbles AND fits in your hand luggage too. 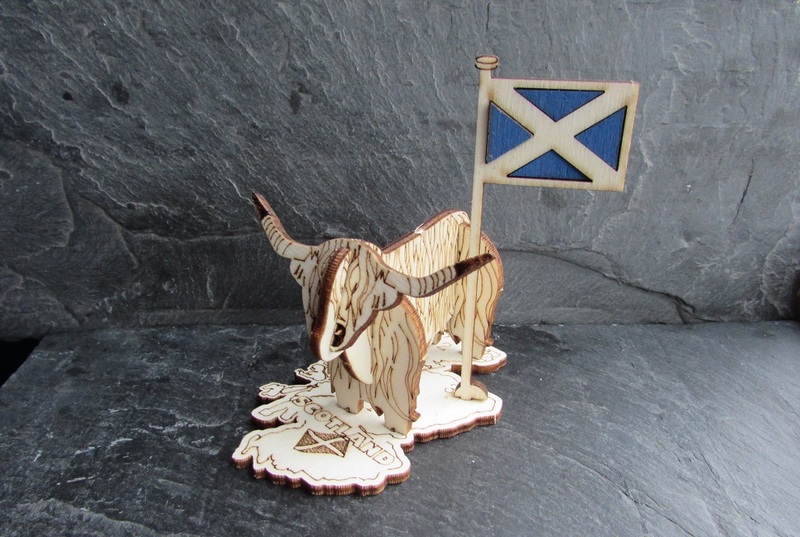 Perfect as a small gift or stocking filler, or for those heading off travelling. Our giant bubbles are a great way to make friends when travelling, where ever you are, what ever your age! 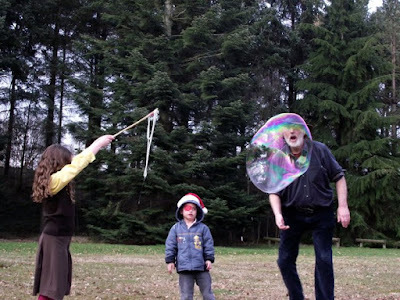 TAKE YOUR BUBBLES ANYWHERE: With this easy to carry portable kit, you can fit giant bubbles in even the tiniest of bags. The 100ml bottle is designed to be take on-board flight hand luggage, the wands and ropes fit in the palm of your hand – YET STILL MAKE OUR SUPER SIZED BUBBLES!! 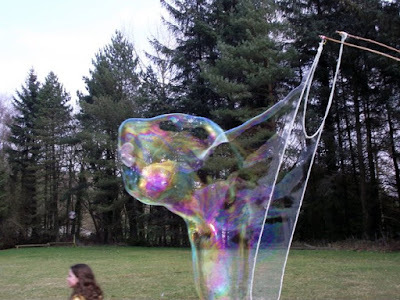 This ‘tiny’ kit has everything you need to create huge beautiful bubbles that will wow everyone. Fantastic for stunning holiday pictures. Great fun for kids young and old. Perfect Instagram shots! WHAT DO YOU GET? 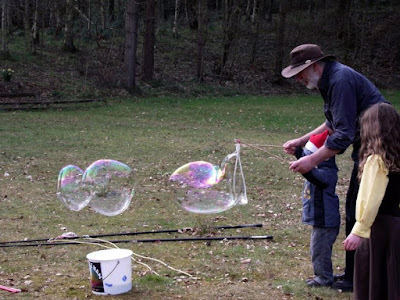 Enough bubble solution for more than 1,000 giant. 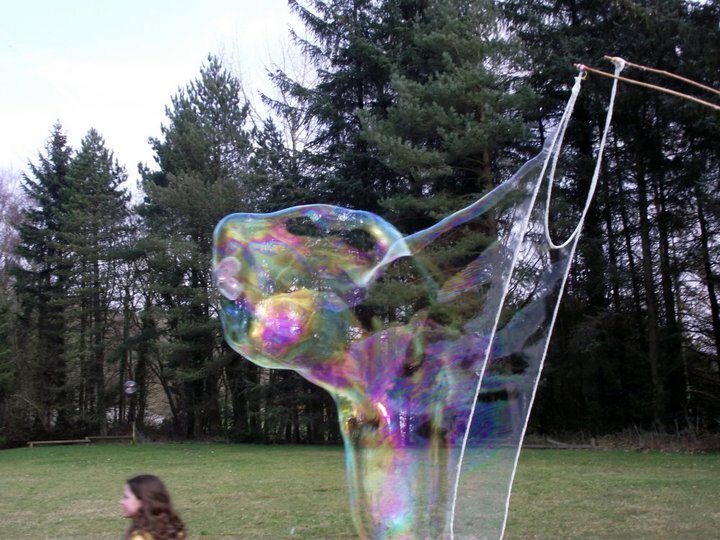 1 light-weight wooden bubble wand (13cm) 1 giant rope for the biggest, most impressive, Instagram-able bubbles you’ve ever made – perfect for all children aged 3 and up (and adults of course!). Airport Security Approved! 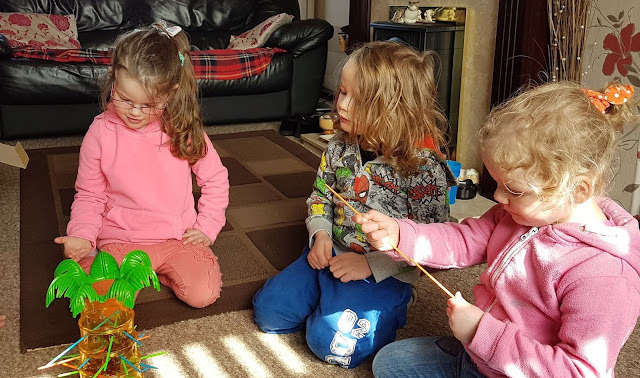 The Pocket Wands are 12cm long, and suitable for all kids (and adults) over the age of 3 – these wands are also great for travelling! This prize could provide hours of fun, almost wish I could win it myself, but sadly I cannot enter. We use to go down to a field on a nearby country estate and watch somebody we use to call the bubble man - he use to practise for the shows he did and experimented with different mixes etc to see what worked best for him. Sadly not seen him in a long time, guess he found somewhere else to practice. To win this amazing set just follow the instructions below. Not been a lot of out this week. Not been a good week health wise for more than one of us. 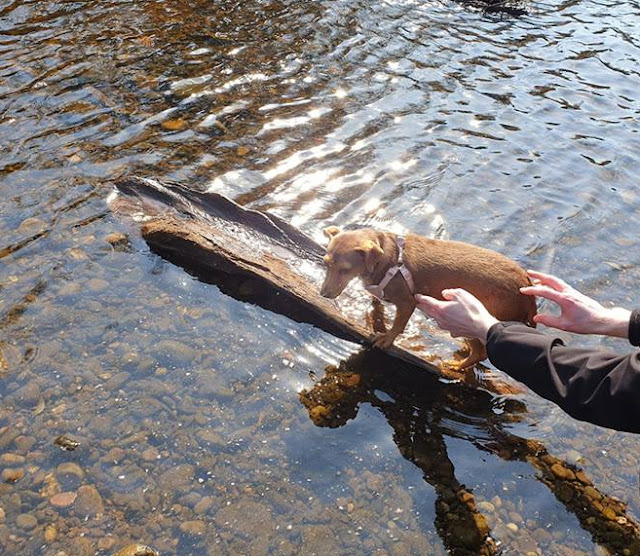 Bob was at Dr on Monday for steroids but cannot get antibiotics unless he is hospitalised due to the other medicines he takes and the issues he has, but so far he seems to be holding his own. DD1 has been bad again with tonsillitis and her ears. Been a crappy week for me as well with my blocked and sore sinus back, no voice to speak all week and peak flow dropping once again. A day off work from my own shift so stayed in and had a lazy day and did some knitting and watched crap on the tv. 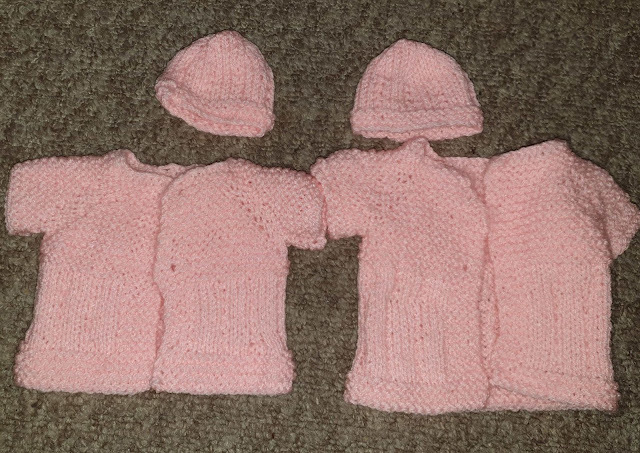 One of the girls at work suggested some twin clothes for the hospital, so made two matching sets and going to make two butterfly blankets in the same colour. In for a 4-7 shift, had agreed to both days this weekend before I knew I was off so did not want to cancel both of them. DD2 is down for a few days before going across to her in laws and then away for a few days down south to meet up with Uni friends. Have to admire her going so far away from home with a newish baby, for me going out for the day with two kids was hard enough. All Roo seems to do is eat. DD2 is still combination feeding, gives her approx 45 mins breast fed then gives her a 5 oz bottle which takes approx another 45 mins to drink and then starts again. At least here I can give her the bottles. 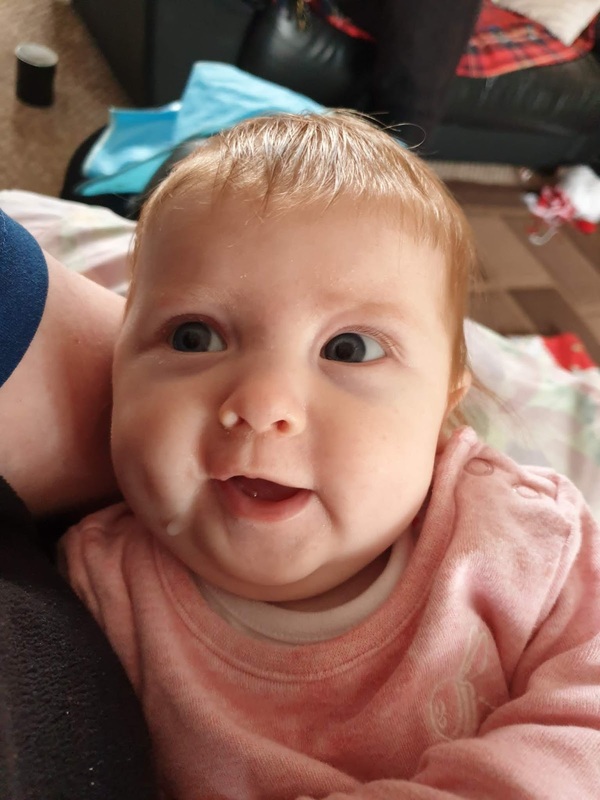 She is getting very smiley and chatty now. We wandered down to DD1's to tire out Ziggy as she had slept in the car. She let me do her bedtime routine and went to bed happily. Have to say Ziggy was very jealous of me playing "raspberries and kisses" with Dinky as that is a game I play with her. She decided to snuggle in with Bob - something she never does. Playing away quite happily at tea parties. Buster the hand puppet dog belonged to DS2 and is over 30 yrs old. I was out in the morning. Hubby suggested a five mile walk when we were done, I said no thanks and went home and fell asleep instead. DD2 spent the day down at DD1's and was then picking up DD3 from work and going to her house for tea so I saw little of them before 8pm. I made a bottle for Roo and took Ziggy up and did bedtime routine with her. I then fed Roo her bottle. I popped into Greggs on the way home and pick up pies and cakes for lunch and a gingerbread man for Ziggy. DD2 had bought me the Christopher Robin film for Mother's Day and was wanting to watch it but Ziggy was not taken with it and chatted through it and over it so she did not get to watch it in peace, another time probably when Ziggy is in bed. Sat and had cuddles with both the girls. Ziggy is very good with Roo and likes to talk to her and tries to play with her not realising that Roo can not play but not be long now till she will try and hold toys etc. Roo on her cross stitch blanket. Made a GP appointment as back to this blocked nose, sinus pain, sore ears and lowered peak flow again. Three times in three months is getting annoyingly silly. So more antibiotics, steroids and a nasal spray. Have been using steam with menthol and my Neilsmed salt washes all week and is helping to clear gunk out. .
Beginning to wonder if it is either allergy related or if it is just not clearing up totally and is coming back again.Have been told if I do not feel it is totally cleared to phone and get a second week of antibiotics. Took a wander along the flat cycle path with the dog and hubby and did some shopping while out any way. Had friends round for tea. DD1 went to her GP yesterday who told her nothing was wrong despite her throat being swollen and filled with pus and refused to give her anything telling her it was viral. This again is third time in three months for her. So tonight her hubby took her to out of hours doctor who did not understand why her GP had done nothing. 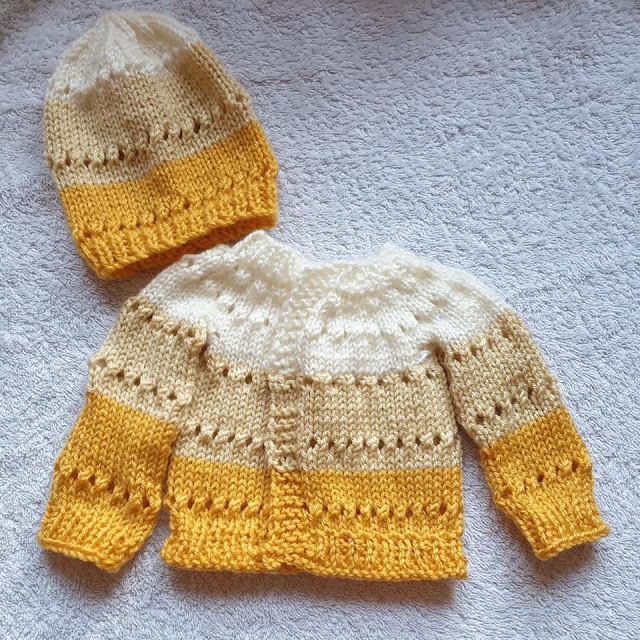 I went and babysat, not hard as three wee ones were in bed and Bob played a computer game and I sat and knitted. DD3 and I had planned about three weeks ago to take the three wee ones out somewhere for the day. Decided this was not a feasible idea today. So they came up here and we sat and played board games and we had a indoor picnic before they went back down the road. 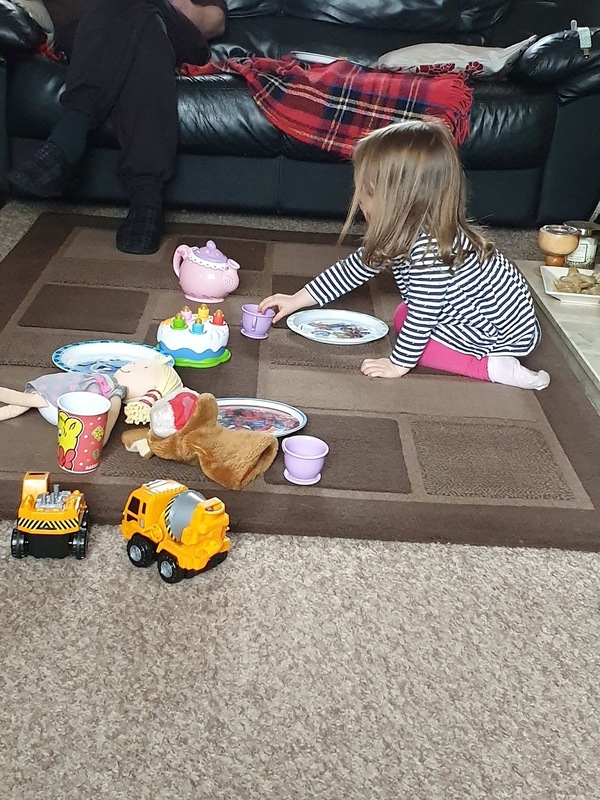 SIL1 was starting work at 5pm so DD3 was staying to do tea, bath and bedtime with them to help out. This is the first time they have played Tumbling Monkeys, this game was Bob's but he has well outgrown it. I am now bored, nothing much happening, not a lot of sleep being got, little concentration and can't be bothered doing anything. So sat at home playing with knitting. 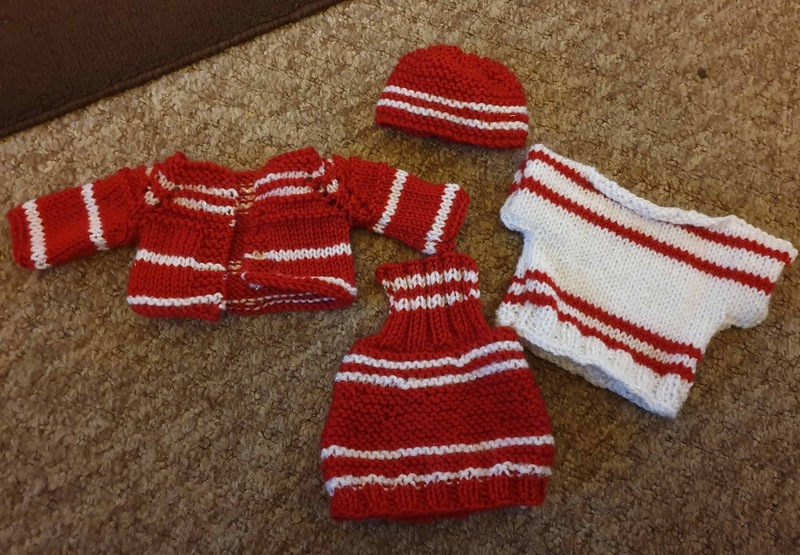 Finished off a set for Ziggy's doll that she asked for. Watched Christopher Robin from the start. When she brings her doll back in May I will crochet some straps for the pinafore but need to know the correct length for them. Made a jumper to go under the pinafore dress and a cardi for on top as well as a hat. Despite a few bad weeks this year my mileage is sitting at 445 miles, nearly half way there. This coming week on April 5th my blog turns nine. Nine years of highs and lows. Our lives, the lives of the three daughters, the two boys choose not to feature on here. Grown from two grandchildren to nine, including one set of twins. We have shared the amazing day that was DD2's wedding. We have shared our three dogs with you,our traumas, some medical issues, the menopause and our family allergy problems. It has been great to see how they have grown and what charitable sponsorship's they are currently working with. 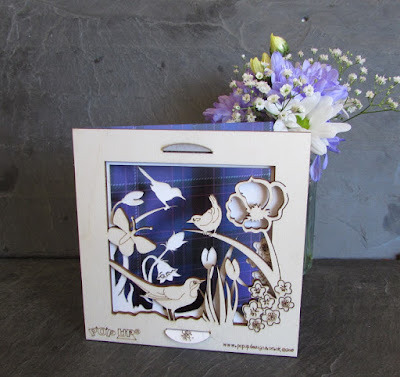 The business grew and our retirement plan of making a hundred cards a week from the shed in the garden, changed rapidly after winning the best new Product award at the Scottish Gift Trade show in 2016. We now have a workshop with eight laser cutters and can make about 120 an hour. We hope to raise much money for other projects. In 2017 we helped with a project in Kenya (funding a woodworking skills vocational course with tools and a teacher for 30 a year to get a chance of a future vocation) and in 2018 we hope to help with a project for cooking and woodwork in Tanzania. We partnered with Adopt-A-Child (based in Inverness) in 2018 to fund projects they do for child sponsorship in Albania and Guatemala. giving food, aid, sponsorship. We have just heard back from a workshop we funded with tools in Kenya, and have sponsored solar panels and water pumps in Togo! Anyway they are generously offering five A6 cards of your choice to include some from their new range called "A wee bit of colour" You can see their full coloured range here. The Spring daffodil one is my favourite. They also have a series of frame cards that are new for 2019. In all honest these don't come in much more expensive than a good quality card. 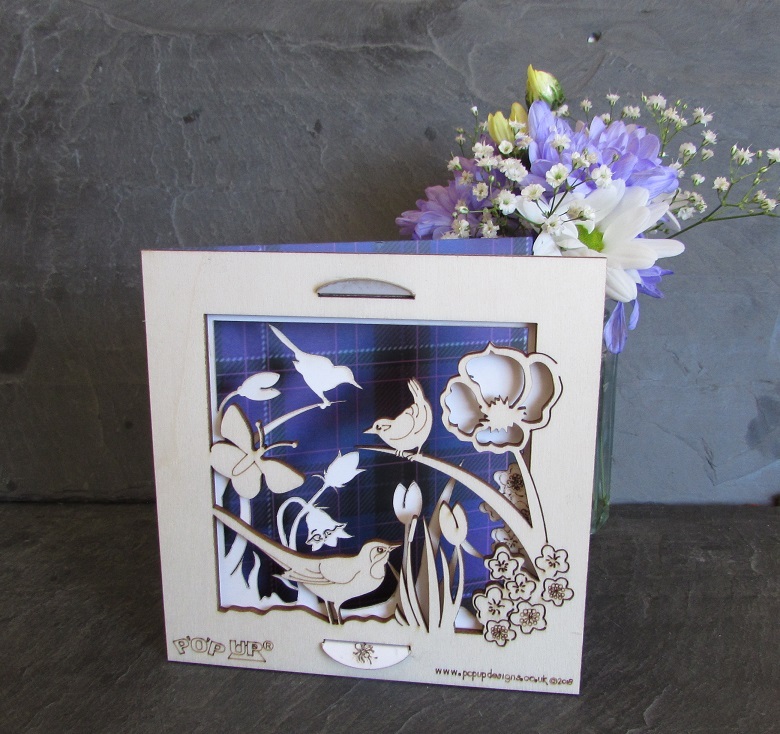 This wagtail and wren card comes with the flowers for £6.